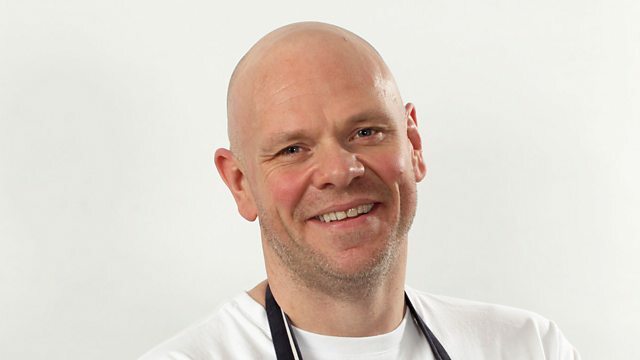 Chef Tom Kerridge talks about his fresh start to cooking. Plus a look at LGBTQ adoption, boys and eating disorders and why it is hard for black women to find business investment. Tom Kerridge's new book Fresh Start features recipes for home cooks who want to stop eating ready meals and takeaways and start cooking from scratch using fresh ingredients. He joins Jenni in the studio to Cook the Perfect…Roasted Winter Sprout Curry. The number of boys receiving treatment for eating disorders has doubled in recent years, according to NHS figures. Jenni is joined by Samuel Pollen, author of ‘The Year I Didn’t Eat,’ a novel for young people about a boy with anorexia, and Dr Sandeep Ranote, Consultant Child & Adolescent Psychiatrist at the North West Boroughs Healthcare NHS Foundation Trust. Does ‘the black tax’ exist in UK venture capital? An article published Goodsoil Venture Capital says there is reason to believe that black women-led businesses have a lower probability of securing venture capital investment than their male and female counterparts. Jenni is joined by Senior Partner at GOODsoil Venture Capital, Charmaine Hayden and tech entrepreneur and founder of the Women in the City Afro-Caribbean Network, Mariam Jimoh. Edinburgh-based St Andrew’s Children’s Society is working with LGBT nightclubs to encourage awareness of LGBT adoption. Why choose a nightclub to promote adoption? And why are there relatively few LGBT couples adopting in Scotland in the first place? Rita Grant is the Adoption Support Manager at St Andrew’s Children’s Society and Tor Docherty is the Chief Executive of New Family Social, a UK charity supporting LGBT adopters. Are black women penalised when it comes to securing business investment?